Excel Workbooks where Power Query is used to connect to supported On-Prem & online data sources. Power BI Desktop when Get data is used to connect to supported On-Prem & online data sources. 1. Connected to my On-Prem dataset (SQL) through Power BI Desktop, check. 2. Created a smashing report with the data and uploaded it to PowerBI, check. 4. Enable refresh of data? 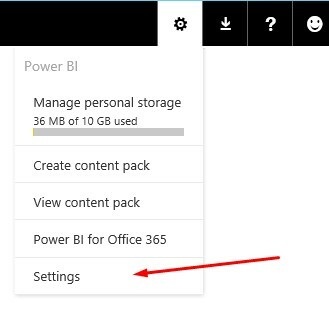 In PowerBI click on settings and select [Settings]. Select the dataset you want to enable refresh on, if you receive the following message bellow when clicking on a dataset. The dataset is not connected to with a supported connection for refresh. When you have the right connection configured you will be able to configure the schedule. 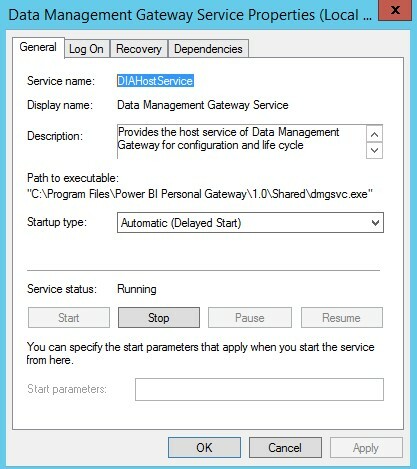 Under Gateway Status check that the Personal Gateway is online, if not check that the Data Management Gateway Service is running on the Gateway server. 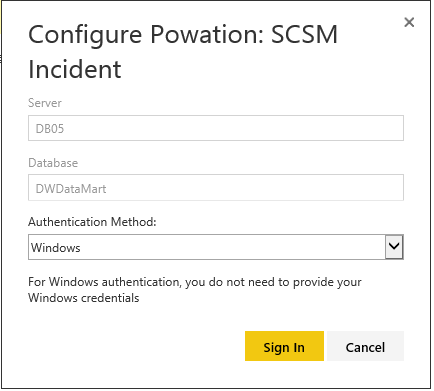 In the Data Source Credentials, the credentials for the data source can be configured, this is the same configuration that was used during the creation of the PBIX file in Power BI Desktop. Sign in with the right credentials to connect to the data source. The next step is to enable the refresh. Keep your data up-to-date select [Yes]. Depending on the type of data you are updating and how the source changes, different refresh frequencies can be enabled. 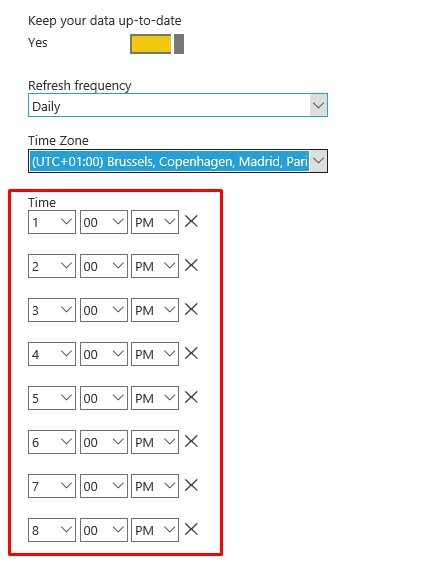 We can select between “Daily” or Weekly configurations, but you are only allowed to add max 8 time schedules to both configurations. By enabling Send refresh failure notification, you are notified when a schedule refresh has failed. Back in the Datasets menu, select the dataset and click [Refresh Now] to take the schedule for a spin. When the sync is finished the data sets/ Reports /Dashboards will be up-to-date. 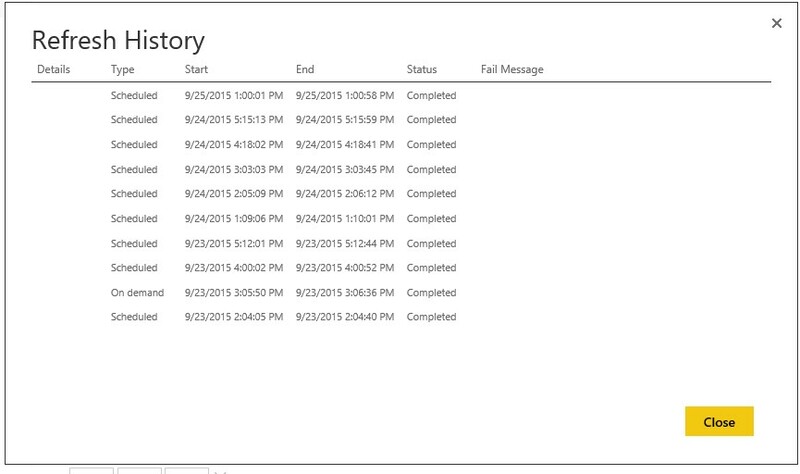 You can then see the status of the last sync and when the next is scheduled. You can also see the refresh history of the dataset in the Schedule configuration.